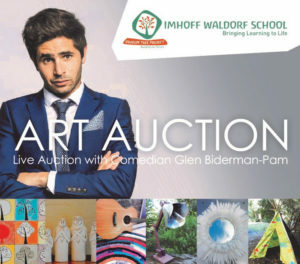 What a rare treat it was to socialise as adults of the school community away from the sand pits, farm aromas and cries for ice-bites, at the annual Art Auction. Our auctioneer Glen Biderman-Pam, was on form, flying down from Gauteng to do our bidding for the second year in a row. 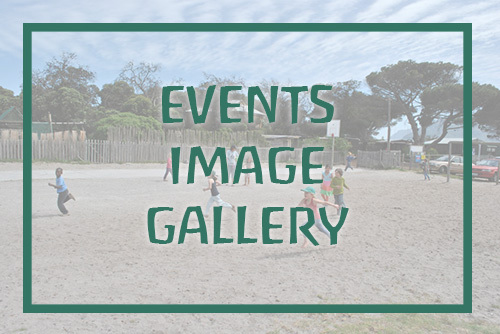 For many years, Monkey Valley Resort in Noordhoek, generously sponsored us by donating their venue, and Cape Point Vineyards were as generous this time – providing us with the venue and bar service totally free of charge. It was a pleasure to be hosted by the Vineyards, a fitting location for mom and dad to steal away for an evening of humour. The venue provided ample and accessible parking, magnificent views and good wine. The food provided by parents of our Pre-School was ample and delicious. The precious handmade items brought in good prices – often due to healthy rivalry amongst various parties and a handsome profit of R75 514 was made. Many items on silent auction went for a bargain – remember to visit the silent auction next year! Even some parents and community members outside of the pre-school parent body donated art and services and we are so grateful for this. New faces were heard commending the winning combination that was good entertainment and lovely food. Enormous gratitude to the moms of our Pre-School who stepped up to coordinate and the Pence-Botha’s who hosted all the items prior to the event. If you have any feedback, you’re welcome to mail Cassandra – admin@imhoffwaldorf.org.